Brooklyn native Steve Stoll was a techno producing machine in the 90’s. His first release in 1992 under the alias of Datacloud was released on Probe, a sub division of Richie Hawtin’s Plus 8 label. Probe started in 1991 & was merely a vessel for Hawtin to release music under his F.U.S.E, Circuit Breaker & Spawn projects. In similar vein Stoll decided to start his own label ‘Proper N.Y.C” in ’94 which pressed an impressive fifteen EP’s in it’s first year. Not to mention if you combine all EP’s released under Stoll & his monikers it easily surpasses the 90+ mark, 22 within ’94-’95 alone. Furthermore, Stoll started a sub division of Proper N.Y.C called 212 Productions. Both Carbon Boys & Two On Acid were side projects for Stoll & Jörg Henze. III Telecon was released on Synewave. The label was founded by Damon Wild in NYC & named after a Modulator track, released on EXperimental, a label Wild previously did A&R for. 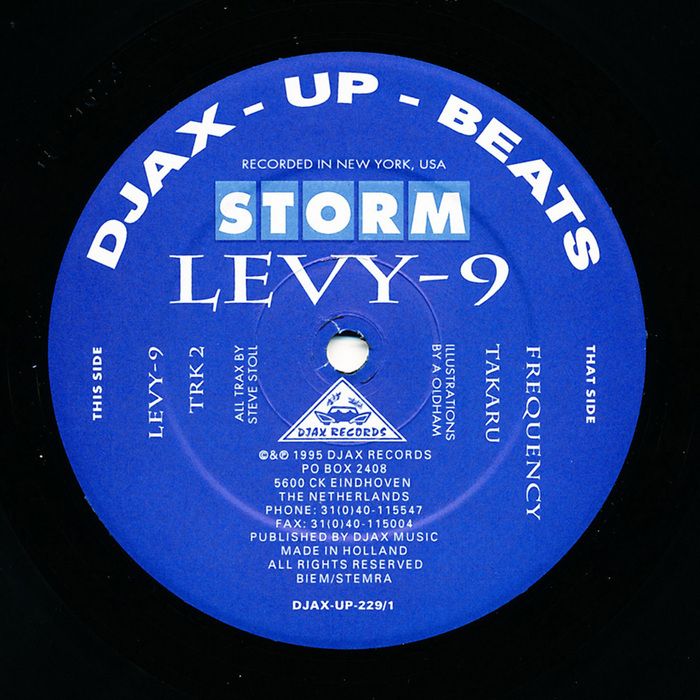 Levy 9 was released on legendary Dutch techno imprint Djax-up Beats. Illustrations from Alan Oldham, a detroit artist who has been with Slegers label since 1991.